You must be a member of the Cairo City Outings & Adventure Group to attend this activity. Would you like to join this group? This time we will going to visit on of most beauiful spots in El hussin area . We will visit Alazhar mosque ....While there are hundreds of old mosques to visit in Cairo, there is none that can compete with Al-Azhar Mosque in standing and importance to the history of Islam. Founded by the Fatimids in Protected content as a mosque dedicated to both worship and learning, it developed over the centuries into the most important center of Islamic theology and learning in the world. 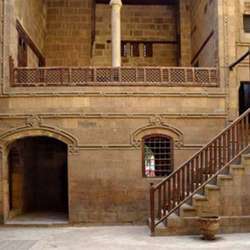 after that we can walk abit in Khan EL Khalili and sit for coffe in Zeinab Katoun Cafe. We will meet Protected content , u can reach there by metro till Atabaa then take a microbus or a Taxi.